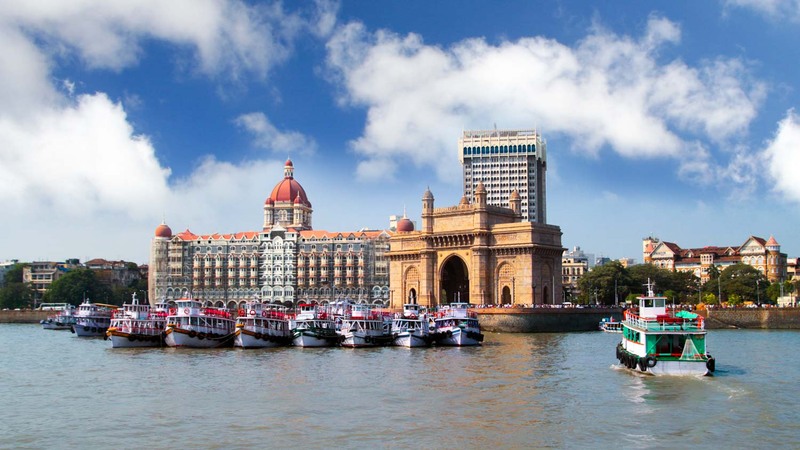 Known as the "city of Dream", Mumbai, located on the island of the same name touched by the Arabian Sea, is the largest city in the Indian sub-continent and with its exaggerated and hopeful dreams is projected at great speed into the future. India's financial heart pulsates behind the ultramodern glass, concrete and steel architecture of Bandra Kurla Complex or Nariman Point, while Bollywood studios recall that Mumbai is the land of possibilities. Bold skyscrapers and luxury shopping malls appear on every corner, like High Street Phoenix, delineating an endless megalopolis that is the backdrop to Marine Drive, the long asphalt walk, called the "queen's necklace", which runs along the sea. But Mumbai is not limited to its intriguing modernity. At the extreme south of the "gold city", a heterogeneous crowd occupies every square inch of the Colaba neighborhood (something that also happens in the rest of the city with its 20 million inhabitants) and, caressed by the sea breeze, continues until triumphal Gateway of India. The emblematic stone arch, intrinsically linked to the former British Empire, perpetuates the memory of a still visible past. In the adjacent streets, elegant colonial buildings in a style that is a unique blend of Victorian, Art Deco and Indian architecture, they bow under the weight of decades. These high facades spread an old-fashioned atmosphere, so much so that one could almost imagine seeing Rudyard Kipling appear here. 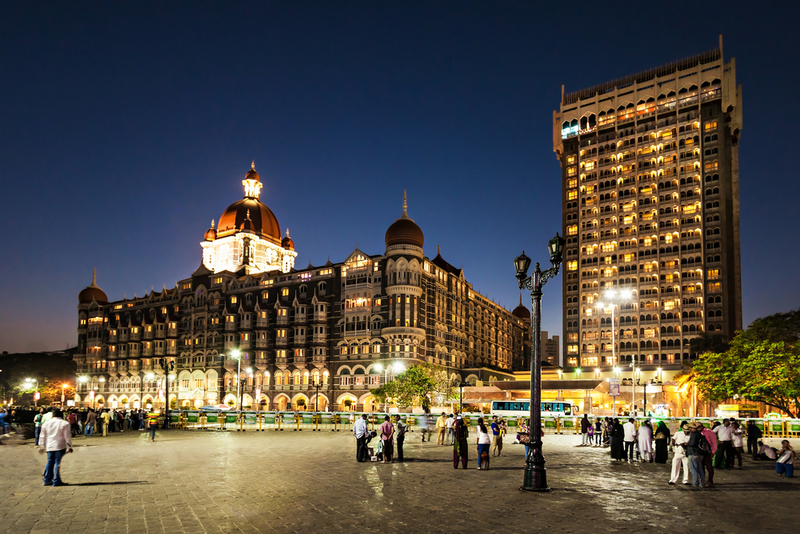 This nostalgia for a bygone era resurfaces at Chhatrapati Shivaji Terminus station and covers the legendary Taj Mahal Palace hotel or even the Leopold Cafe, one of the oldest in the city. Within walking distance, the National Gallery of Modern Art bears witness to the creative DNA of the Indian metropolis. There, as at the Nehru Center or the Jehangir Art Gallery, exhibitions show that the talent of the young generation of Indian artists is a force to be reckoned with. Their enthusiasm originates in Bandra West, an Old Portuguese enclave that has retained its charm and has turned into a trendy neighborhood. It is here that the Zeitgeist, the spirit of this age, travels. Because if the big open bazaars clogged by rickshaws, like the "market of thieves" Chor Bazaar or the "jewelry market" Zaveri Bazaar remain a must for an Indian shopping experience, Bandra West is full of refined concepts store. There are also many restaurants enlivened by a cosmopolitan atmosphere and high quality street food, a refined gastronomic tradition that uses spices with style. Joel Robuchon was not mistaken, inaugurating his first restaurant in Mumbai in 2016. In Bandra, as well as at Colaba and Malabar Hill, the nightlife triangle, Mumbai never sleeps, crowded with Bollywood stars and the Mumbai Film Festival. Because more than the Holi Festival with its colored pigments thrown to the four winds, more than the celebrations of Indian independence or the proclamation of the republic, it is life dreaming in techni color and projected on the big screen to keep the heterogeneous with the same enthusiasm Mumbai population. Otherwise, what a common feature would there be between a worker from Dhobi Ghat, the largest outdoor laundry in the world, a Muslim kneeling at the Haji Ali Dargah, the Hindu temple Hare Krishna ISCKON, a young woman in sari in the great slum of Dharavi, set of the film The Millionaire, and the young wealth of Malabar Hill?